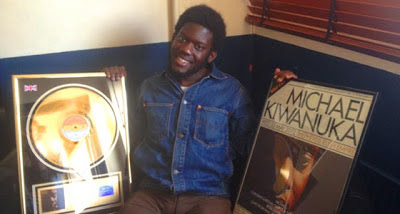 A couple of the papers are carping on this morning about how the 2012 winner, Michael Kiwanuka, has "flopped". True, he never quite set the world on fire - he'd be more likely to buy the world a cocoa - but his album quietly sold over 100,000 copies, making it one of the year's most successful debuts (although still a long way behind Emeli Sande's million-selling Our Version Of Events). With impeccable timing, Michael just released the video for his latest, and presumably final, single from Home Again. Set in Spain, the clip for Always Waiting is a heart-rending little story, which unexpectedly brought a lump to my throat first thing this morning.